This is #5 in a series of interviews that I have conducted with teachers that have or are teaching overseas. This is a topic that is dear to my heart for several reasons. I would like to welcome Krissy. My name is Krissy Laubernds. I am in my 14th year of teaching, having graduated from Bowling Green State University in 2002 with a bachelors degree in early childhood education and a minor in Spanish. In 2004, I earned a master of education in reading degree from Xavier University. My entire teaching career has been in Blanchester, Ohio, a small town about an hour east of Cincinnati. My elementary school houses grades preschool through third grade, with approximately 600 students. We have between 50-60% of our students receiving free or reduced lunch. I have taught kindergarten, first grade, and second grade, and currently teach my favorite grade, first grade. Where did you teach overseas? It was pure luck that I was matched with my exchange partner on my first time applying. After applying, I went through the interview process with former Fulbright Exchange participants. Then came the waiting game. I was fortunate to receive my match, and we has a great experience with good communication throughout our several month exchange. I encourage anyone who is interested in teaching abroad to apply for a Fulbright Teacher Exchange when applications come out in the fall... And be patient! For my Fulbright Teacher Exchange, I was placed in a small Catholic school near Nottingham, England, teaching 29 Year Two students (first grade). At the time, I was teaching kindergarten. School began at the end of August, and my assignment was for the fall term. I applied to the Fulbright Teacher Exchange in the fall of 2004 and was awarded an exchange in May 2005. Having first traveled overseas in high school, I knew that I wanted to travel to Europe again. In college, I studied abroad in Spain during the summer. After learning about the Fulbright Teacher Exchange, I just had to apply. 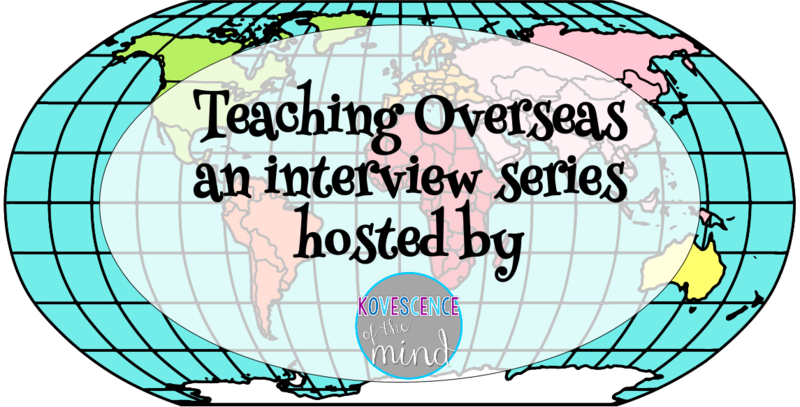 What was your favorite thing about teaching overseas? My favorite things about teaching overseas were being exposed to different cultures and ways of living (who knew houses could be so small, living without a dryer, and not being able to take long hot showers!!). I truly appreciated gaining a new perspective on life and on education. We have so many resources in the US that we take for granted. The expectations for teachers were quite different as I was expected to teach art, physical education, religious education in addition to math, reading, writing, science, and history. However, we also had an hour and half for lunch while students had lunch and recess. Staff meetings were after school a few times per month, for several hours, and were quite tense due to the pressure of the government inspections and testing that started in Year Two (6-7 year olds). What are challenges have you faced teaching overseas? There were several challenges when I was teaching overseas. Being without my friends and family was definitely an adjustment. I'm a pretty independent person, but at the same time, it's not easy for me to make new friends. Luckily having my support system only a phone call or email away really helped. The most obvious challenge about teaching in England was getting around! My exchange partner lived about 20 minutes away from his school, and the only way to get to his school was to drive... On the opposite side of the road... In his manual transmission car. I was fortunate that my exchange partner's parents took me under their wing and helped me learn to drive the car! Since I taught overseas for a limited amount of time, I don't feel as if I truly had time to grasp concepts that would improve learning in the U.S. What I took away was a greater global awareness, which I share with my students whenever the opportunity arises. I also have a greater appreciation for everything we have, such as textbooks, Ellison machines, and Specials classes (art, music, gym, etc).